At the crossroads of three continents, Israel’s natural features are remarkable. Despite its small landmass, high population density and the scarcity of water and other natural resources, the country is replete with unique ecosystems, making it a biodiversity ‘hotspot’. But development needs are often at odds with environmental concerns and this has resulted in the degraded and fragile state of many ecosystems that underpin Israelis’ well-being. The Environment Programme at Yad Hanadiv was established just over a decade ago with the aim of improving the resilience and health of Israel’s natural, agricultural and urban ecosystems. Early efforts were geared towards generating scientific knowledge and infrastructures in the service of informed policy making. These included establishment of the Water Research Institute at the Technion, better understanding and planning of open landscape and land use (the Deshe Institute), supporting research and practice at the intersection of agriculture and environment (Nekudat Hen), systematic biodiversity monitoring by Hamaarag, the Israel Taxonomy Initiative, and science-to-policy fellowship programmes (Mimshak). In 2007 Yad Hanadiv established the Environment and Health Fund (EHF), which now emphasizes reducing exposure of the public to harmful chemicals. 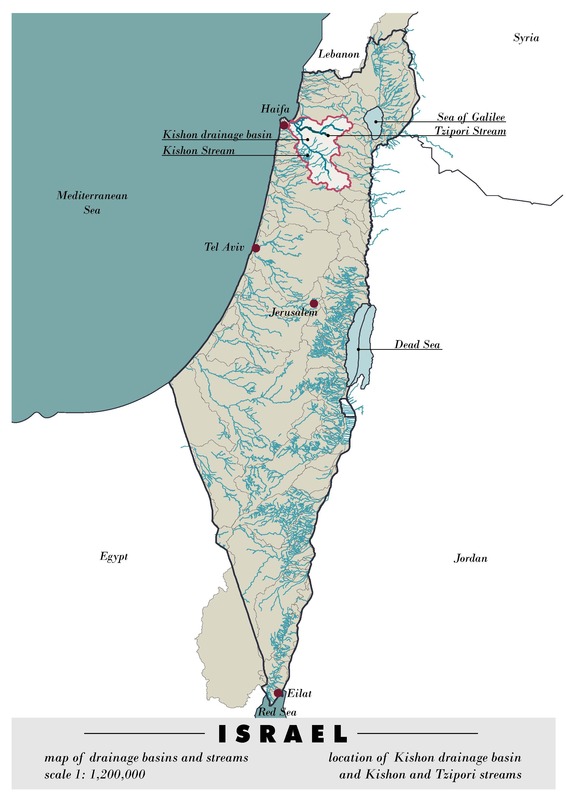 Current strategies are working to establish a network of Marine Protected Areas and to rehabilitate Israel’s rivers and streams through integrated river basin management. We recognize the essential need for collaboration with government agencies and NGOs, while emphasizing professional knowledge, science-based policy and long-term planning. In July 2009 Yad Hanadiv hosted five experts versed in models of linking science and environmental policy in the US, UK, Europe, and Australia. Drawing on their recommendations to build capacity in science, public policy, and communicating science to the public, we launched an initiative to improve the interface between science and policy regarding management of biodiversity and open spaces. The aim was to create high quality relevant data and research on biodiversity to inform the policy, practice and management that would preserve and restore Israel’s unique ecosystems. Major emphases were placed on biodiversity monitoring and reporting, research, and opening effective channels of communication between the science and policy communities. Over the years our activity has included support for HaMaarag (now under the auspices of the Steinhart Natural Collection Museum at Tel Aviv University) to develop national monitoring that advances science-based management of Israel’s ecosystems; for the Israel Taxonomy Initiative operated by Tel Aviv University to revive taxonomic studies and improve identification and knowledge of biodiversity; for Mimshak – a programme of the Israeli Society of Ecology and Environmental Sciences to integrate postdoctoral level fellows in the public sector in order to advance science-based environmental policy; and for workshops and practical tools to broaden the perspectives of decision makers in the business sector. The Environment and Health Fund (EHF) was established by Yad Hanadiv in 2007 as a non-governmental, not-for-profit organisation. EHF is committed to improving expertise in, and expanding knowledge about, the impact of environmental hazards on public health in Israel, with the ultimate goal of improving human health and well-being. EHF builds capacity by supporting inter-disciplinary research, providing fellowships for advanced degrees, sponsoring in-service professional training, and organising workshops and conferences. It provides unbiased, evidence-based, authoritative information to policy-makers, professionals and the public-at-large, in an effort to improve the decision-making process concerning dangers to health caused by environmental factors. Since 2016 EHF has focused on reducing exposure of the public, especially children, to harmful chemicals. Nekudat Hen was established by Yad Hanadiv in 1999, and has been operating in conjunction with the Israel Society of Ecology and Environmental Sciences since 2017. Advancing projects at the intersection between agriculture and environmental concerns, the programme aims to build professional and interdisciplinary knowledge infrastructure for multi-functional agriculture in Israel, based on the premise that intelligently managed agriculture can be an important source of food and livelihood, while protecting the environment and preserving human culture and heritage. Nekudat Hen provides opportunities for researchers in agriculture, biology, and environmental studies; agronomists; farmers; activists in environmental protection organisations and policy makers in relevant fields to meet, study and exchange ideas. The projects it advances contribute to the creation of a common language and stimulate knowledge-based dialogue among stakeholders and practitioners in the agricultural arena.